a gracious gift you send to a time you will not see. 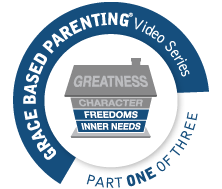 In Part One of the Grace Based Parenting Video Series: Creating An Atmosphere Of Grace is a refreshing small group study where Dr. Tim Kimmel focuses on the first two levels of this grace-based model of parenting. You will discover what your children’s driving INNER NEEDS are and how to meet them. You will also be introduced to FOUR FREEDOMS you can give your children that will strengthen your relationship with them and their relationship with God. Parents can expect to go away with a blueprint for building confident, courageous, and cooperative kids. 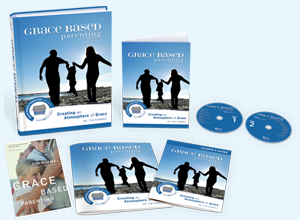 Grace Based Parenting will show them a grace-based, character-driven model to nurture well- rounded and loving kids—and have a great time in the process!